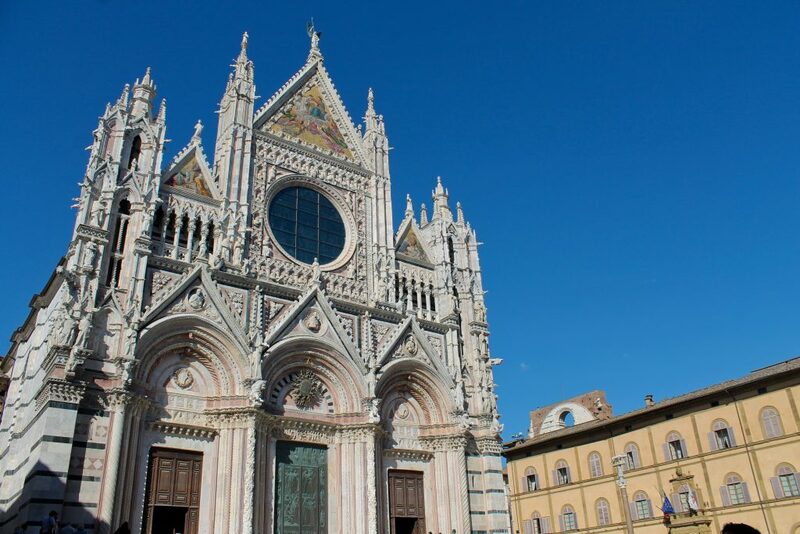 Let’s have a photographic walk along the Via Francigena in Siena! 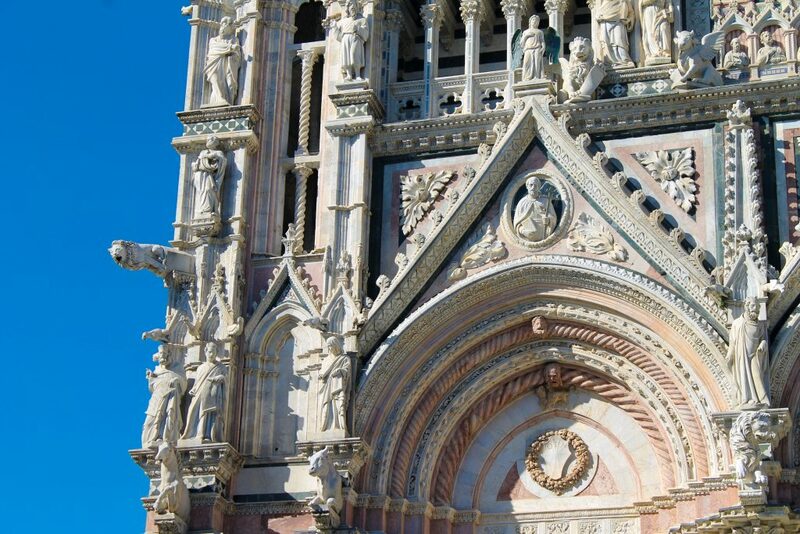 This virtual tour brings you through the streets of this beautiful town and shows the route of the ancient pilgrims! 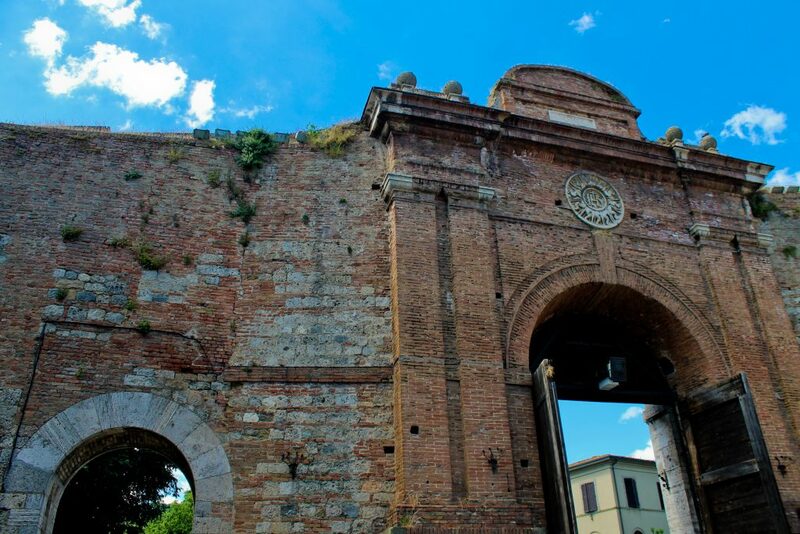 During the Middle Ages and the Renaissace, Porta Camollia represented the main gate of the town because it faced on the North in the direction of Florence, its eternal enemy. 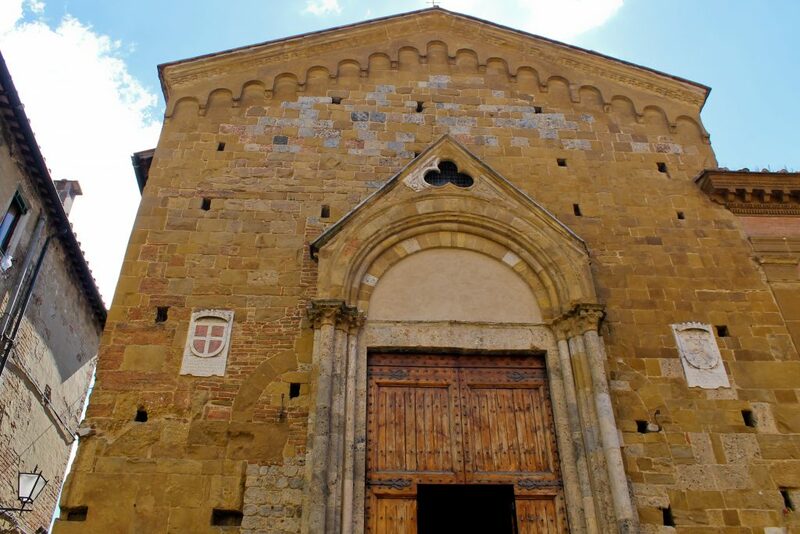 Many pilgrims who walked the Via Francigena entered the city through this gate. 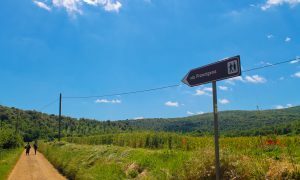 Our walk start from this point of the town. 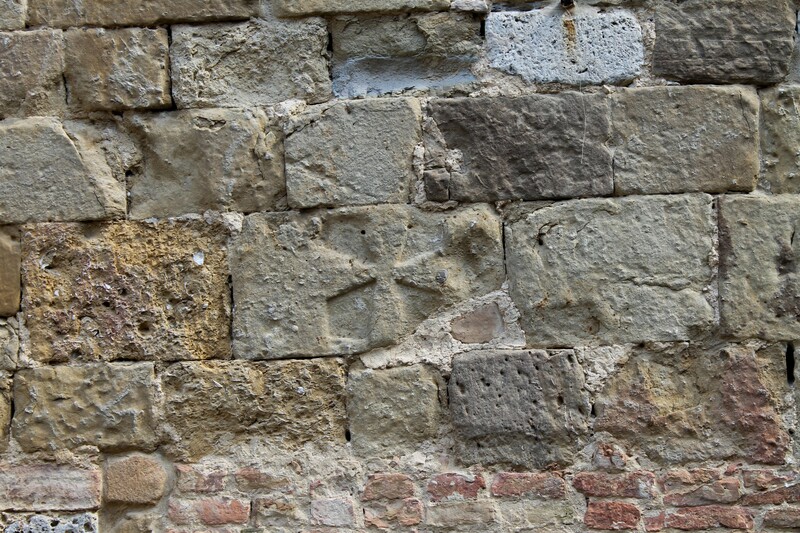 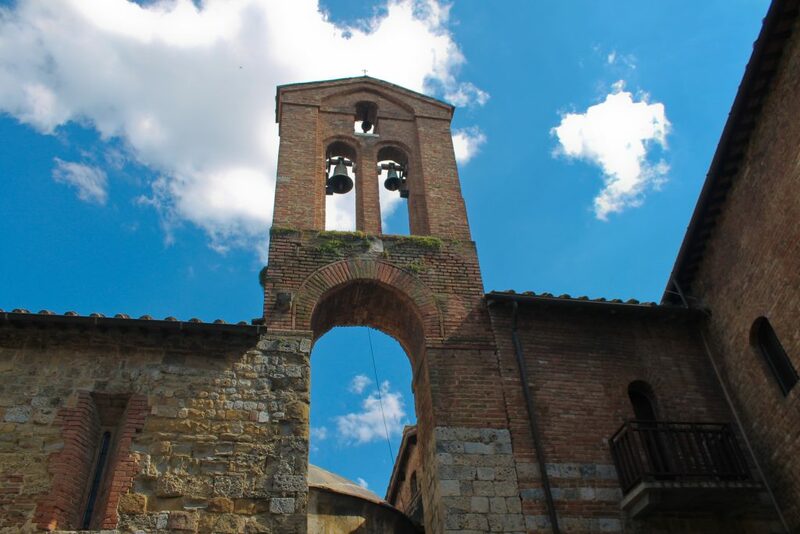 Another important site of the town is the stone Church of San Pietro alla Magione. Magione means hostel; in fact, this building was one of the first hospices for the pilgrims who entered the town through the “Porta Camollia”. 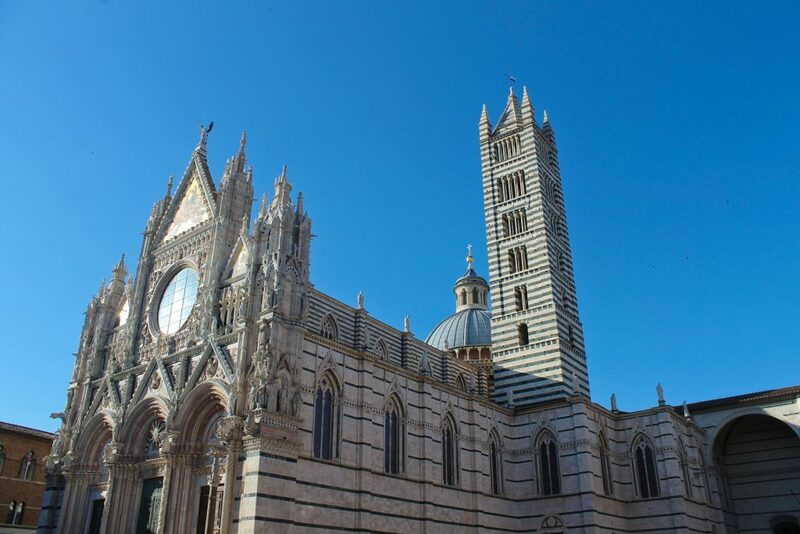 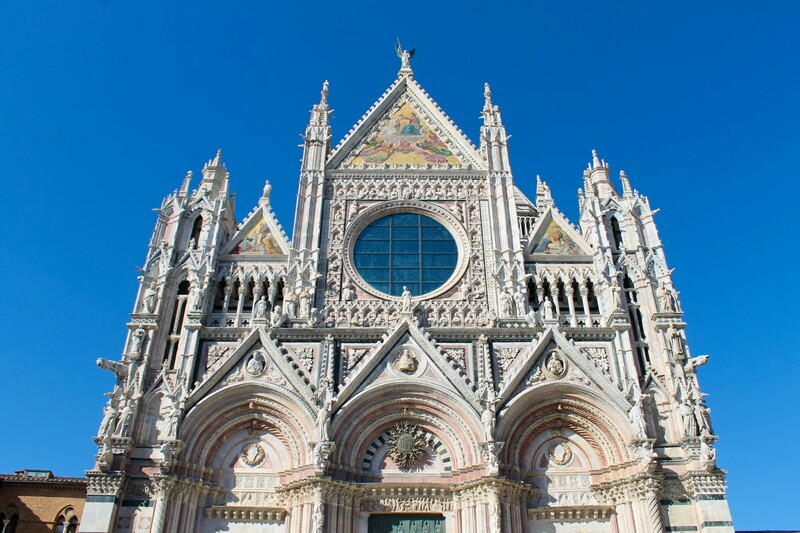 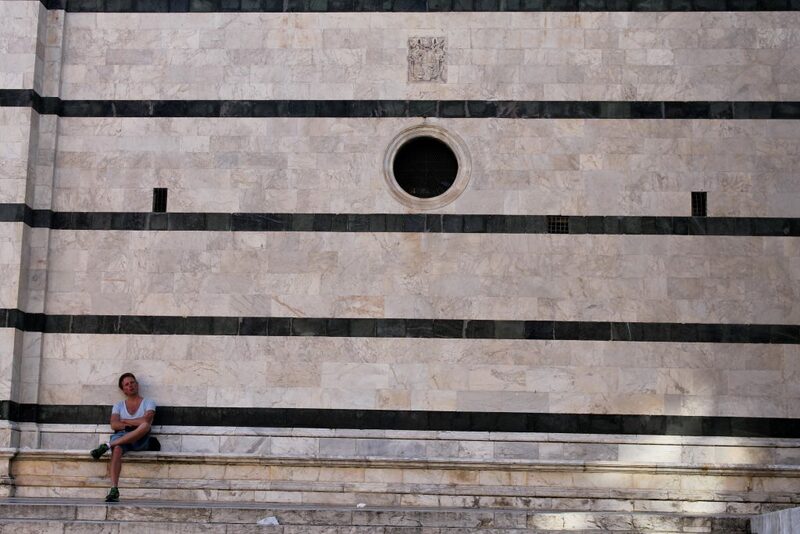 The historic centre of Siena has been declared a World Heritage Site by Unesco and it has a ward-centric culture. 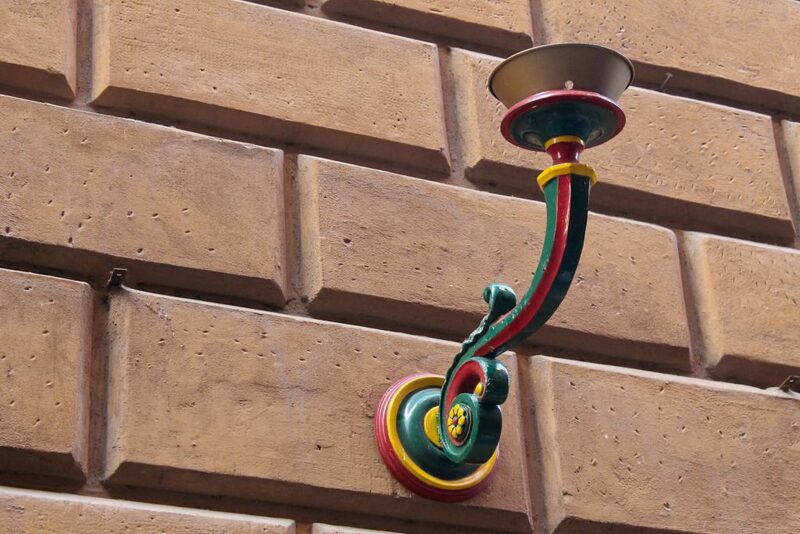 Each ward or contrada is represented by a animal. 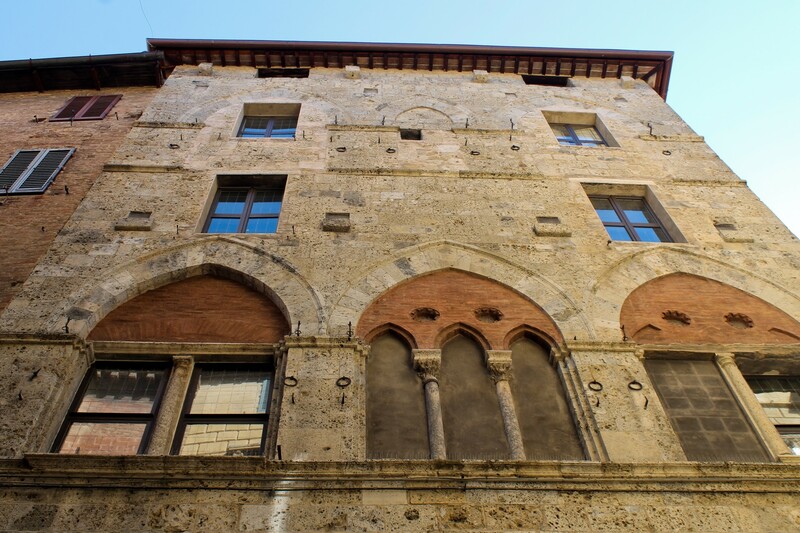 Along the street you can observe the traditional “braccialetti” (bracelets) which illuminate Siena during the famous “Palio”, the traditional medieval horse race. 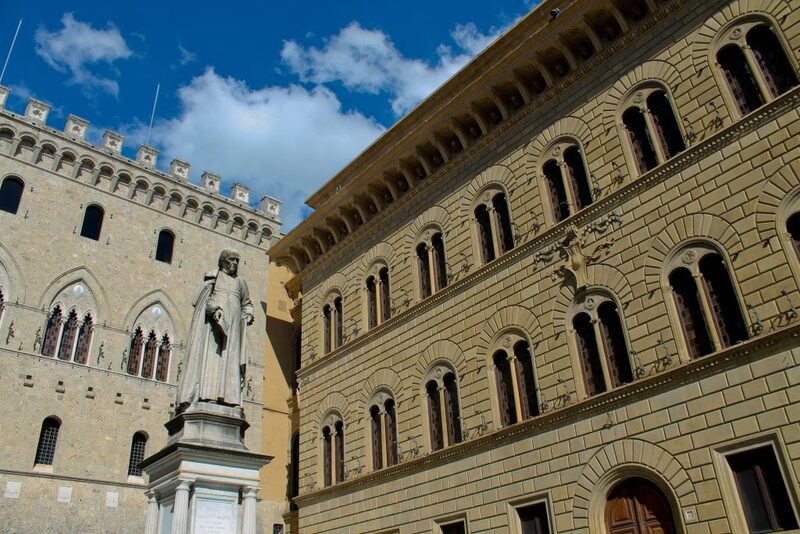 The streets of Siena were paved to give a better welcome to the tourists who reached the town. 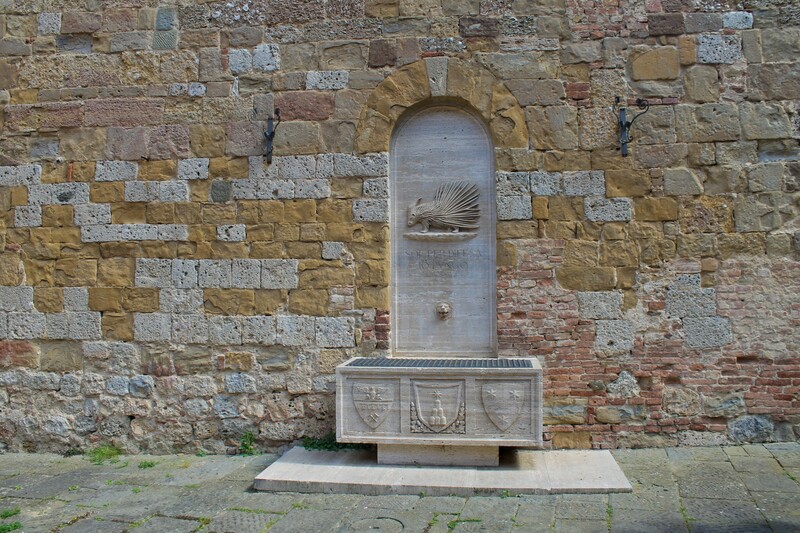 The statute of Siena provided for a series of interventions to improve the hospitality such the construction of fountains of drinkable water or the partition of the hotels depending on the level. 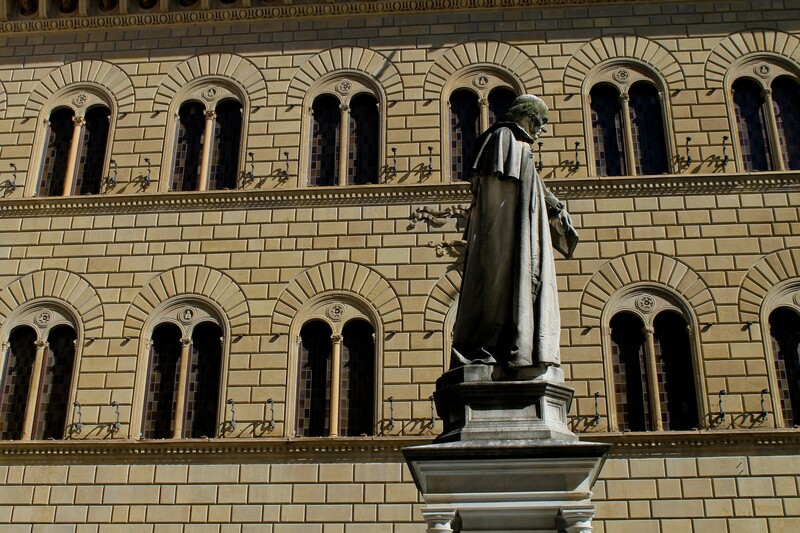 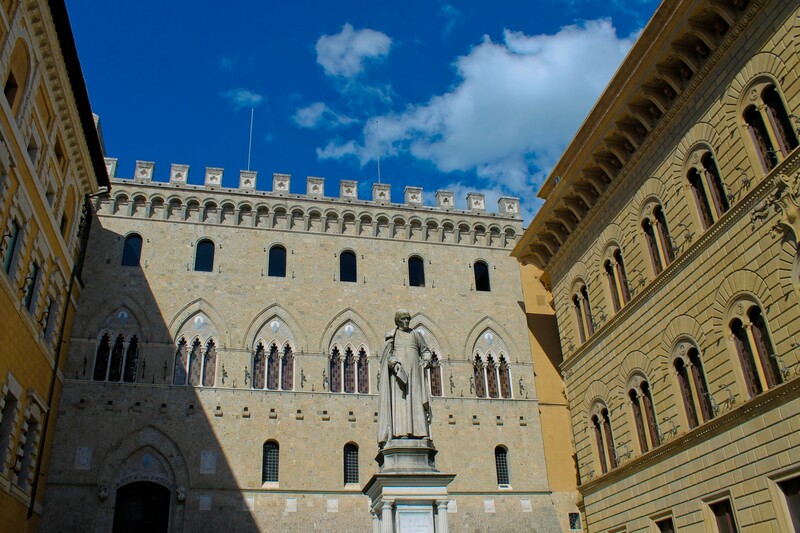 Piazza Salimbeni, historical building which houses the seat of the Monte dei Paschi di Siena bank and the statute of the local religious figure of Sallustio Bandini. 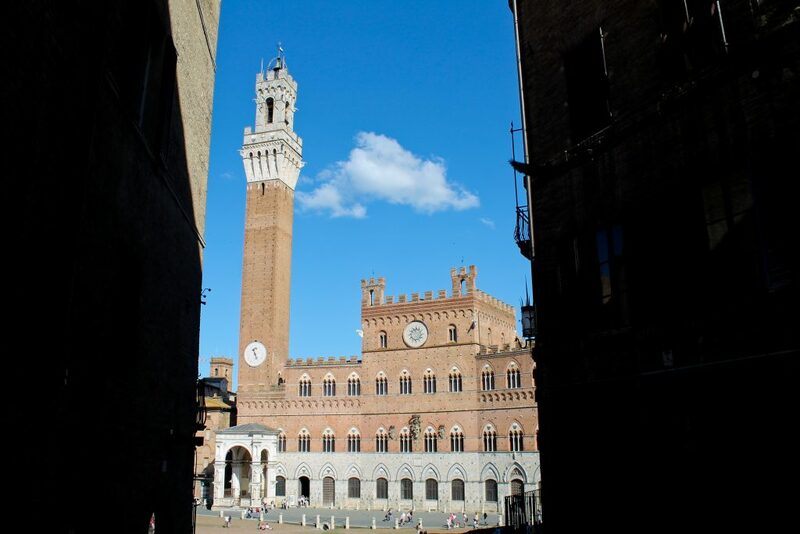 Piazza del Campo is another important place of the town. 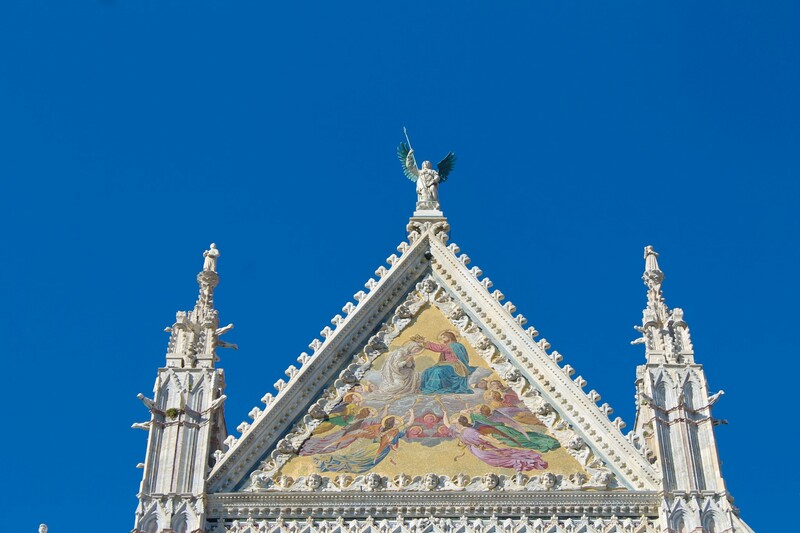 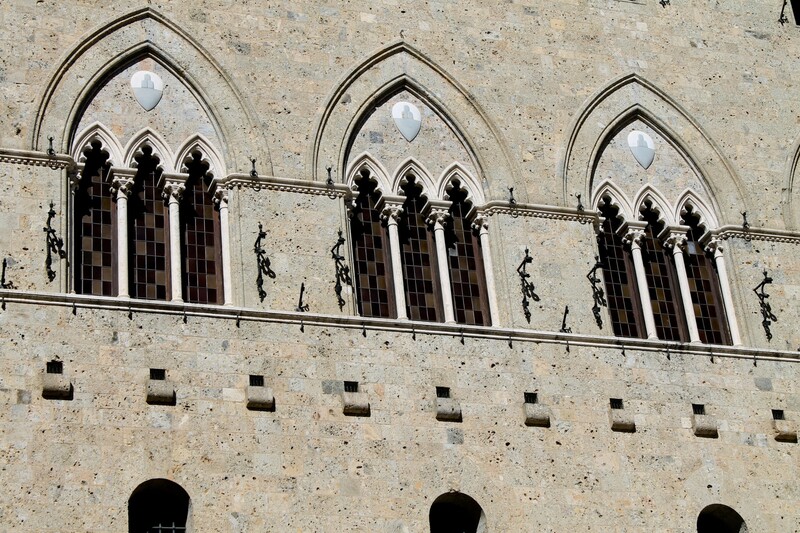 This amazing square houses the Palazzo Pubblico and the Torre del Mangia as you can admire through these photos. Piazza del Campo is a unique location because of the special concave conformation of the ground. 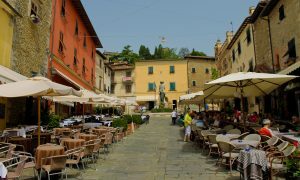 These place is the meeting point for hundreds of people who sit down to enjoy the beauty of the square and watch the sky. 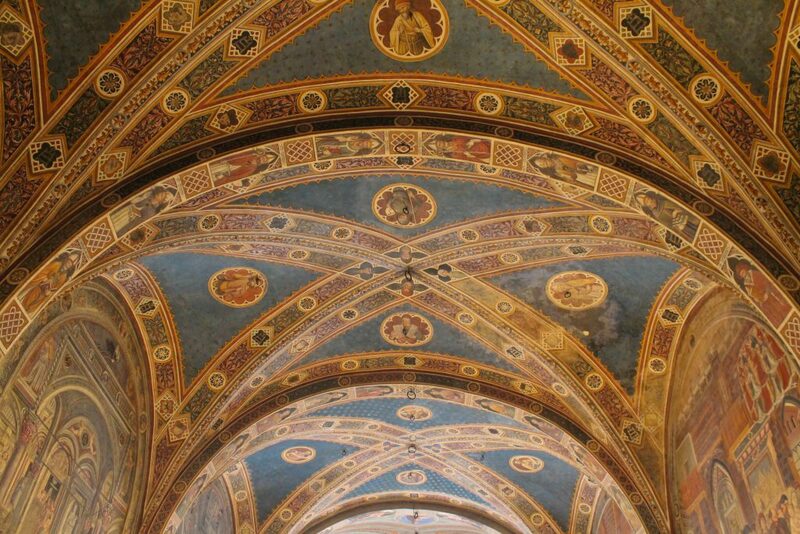 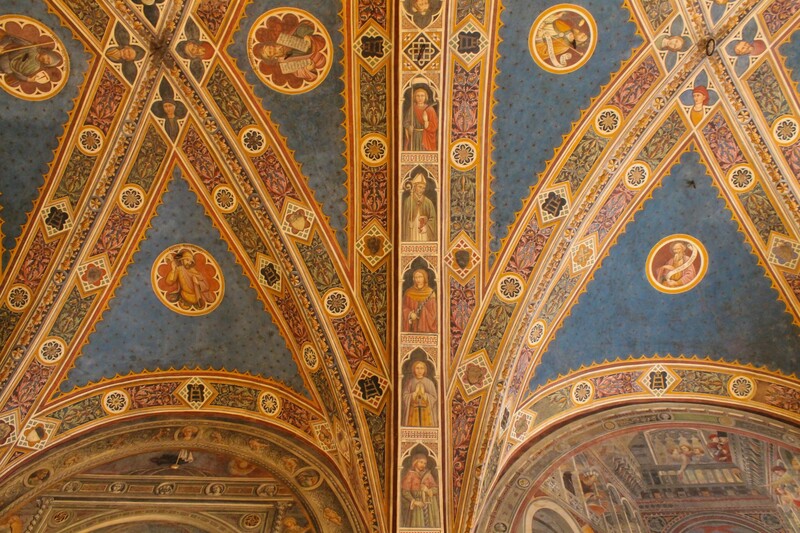 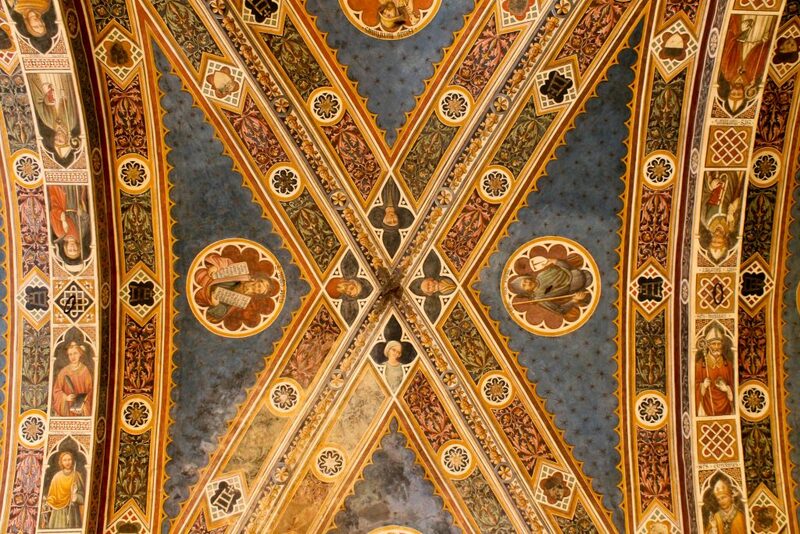 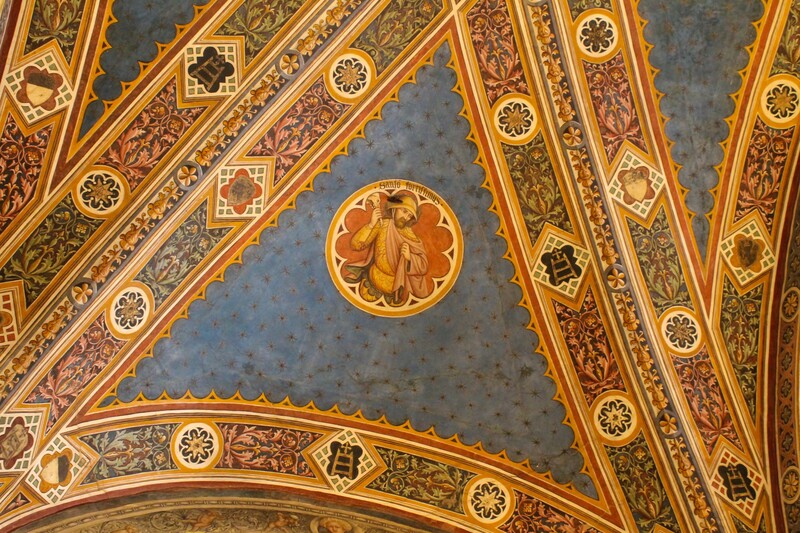 One of the most important places in Siena was the hospital of Santa Maria della Scala. 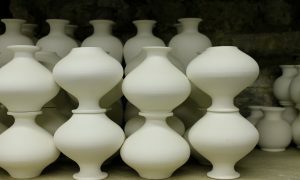 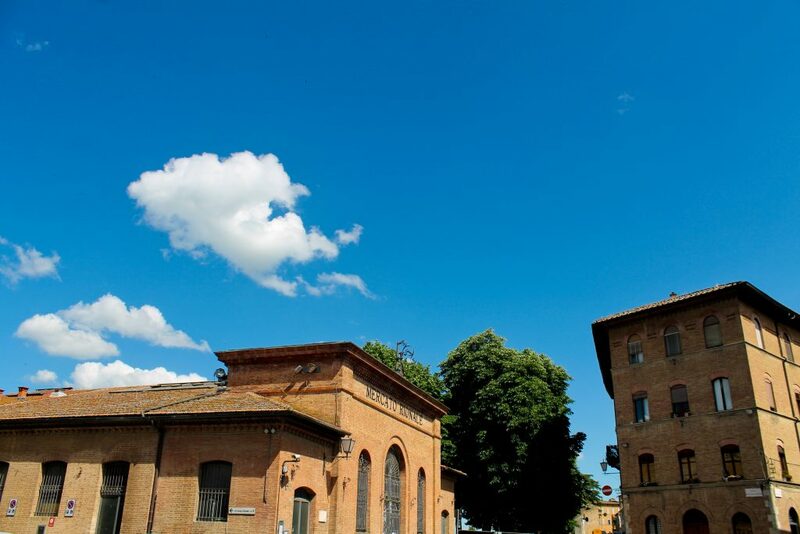 Now it is a museum but in ancient times it was a civic hospital and hospice along the stretch of the Via Francigena and it was devoted to pilgrims, children and poor people. 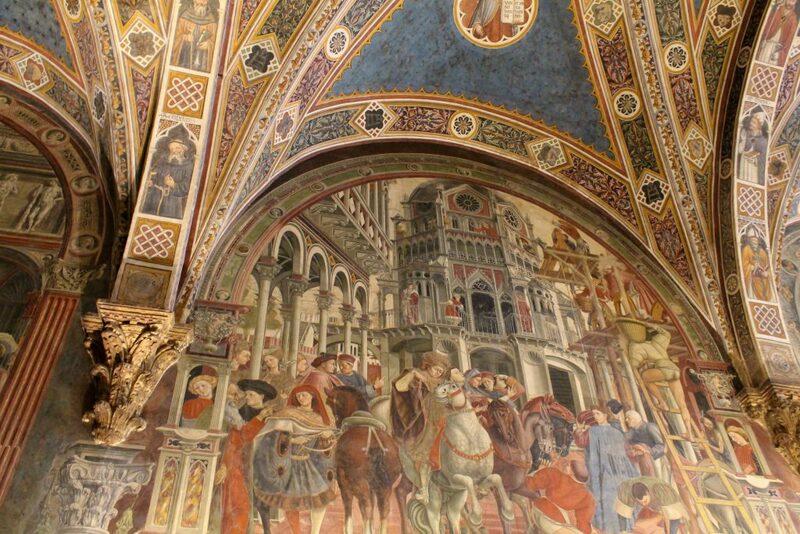 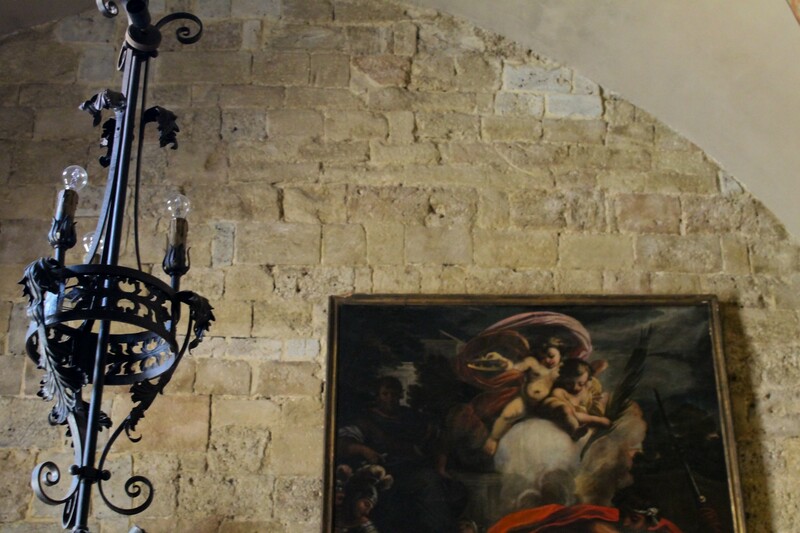 The Pilgrim’s Hall or “pellegrinaio” was the area where the pilgrims were lodged and it was frescoed with scenes that represent the activity of reception of the pilgrims, the care for the poor people and orphans but also other significant events. 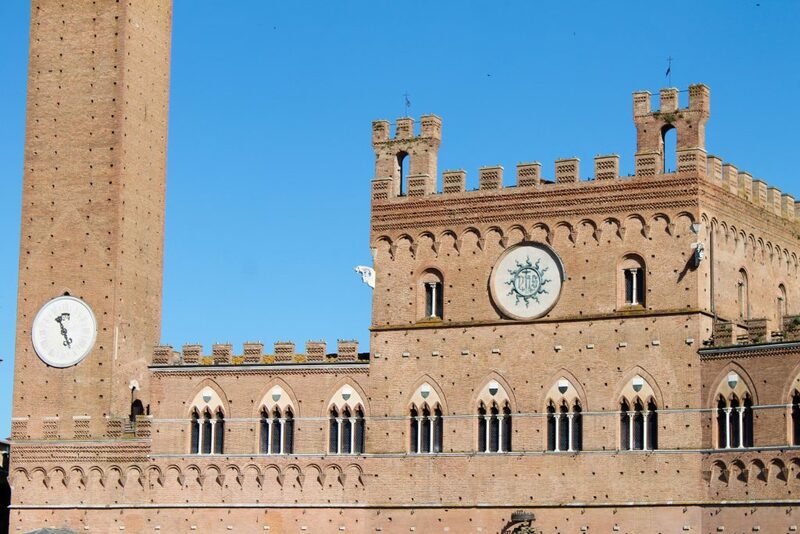 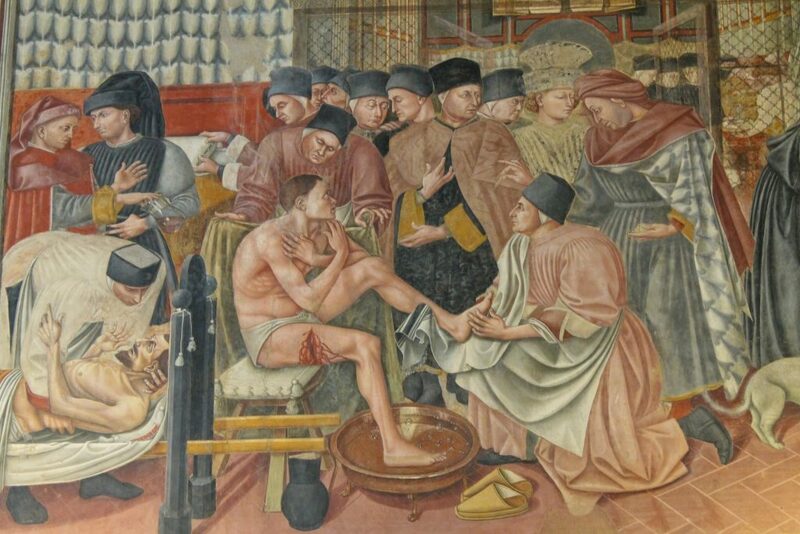 Siena lies on the Via Francigena and this hospital was one of Europe’s first hospital. 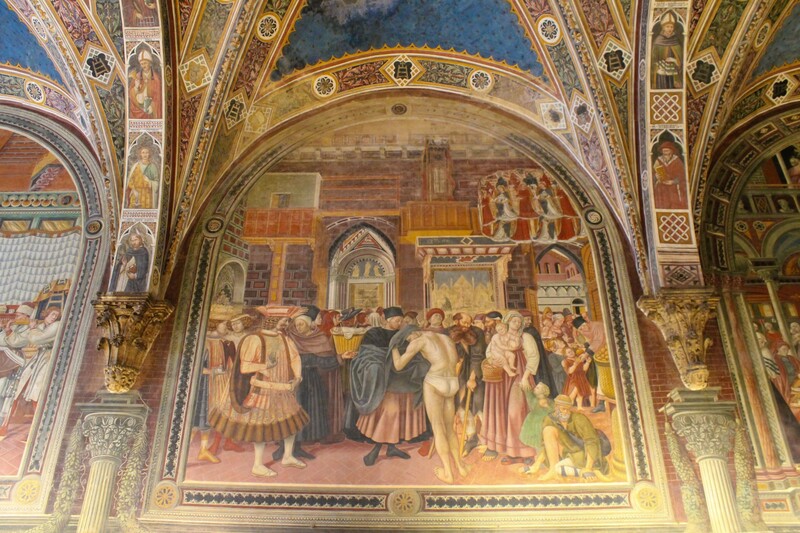 Beautiful frescoes inside the Pilgrim’s Halls. 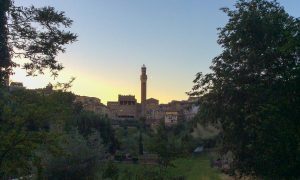 My trip ends now and I would like to thank all the kind people who guided our group during this amazing experience, my lovely travel companions and all the places who gave us a warm welcome!